Turn west at Mountain West Burrito. At roundabout take 1st exit on Columbia Lane. Take 1st right. Served in Operation Iraqi Freedom 20072008 Married and have 4 daughters Southern Utah University Management, B.S. 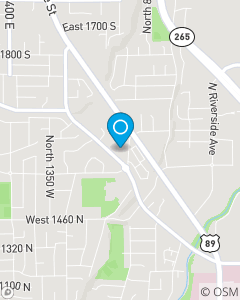 Serving customers in Utah for auto, home, life and financial services. Here at Bryant Johnson State Farm our goal is to protect your assets and preserve your income. Our mission is to help our customers understand the risks that they may be exposed to and to facilitate their insurance and financial needs. We will be there for our customers as they go through unfortunate times by giving superior service. We will focus on helping our customers recognize their dreams and prepare for those dreams that they will fulfill.